Last year, a group of TYs created a book about mental health called MIND MATTERS. This book won multiple awards and has truly opened many doors for us as a school. One of those doors lead us to the Cuchulainn Heart Challenge, kindly sponsored by the Ilac Centre. 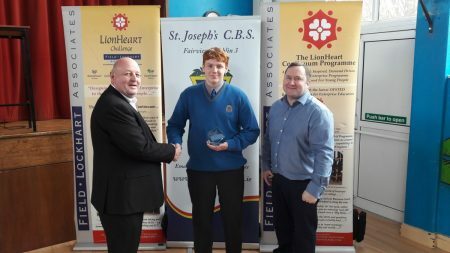 We are one of only 2 schools in Ireland that have been fortunate enough to be chosen to take part in the challenge! 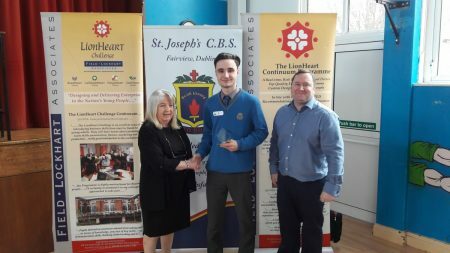 This program was designed to nurture and develop a wide range of very valuable employability, citizenship and business skills in TY and 5th year students within our school. 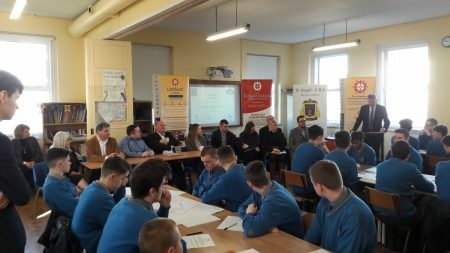 The programme has been acclaimed nationally, and involved the students in using high level business materials and working directly with real Business Professionals from The Ilac Centre and other very successful businesses. 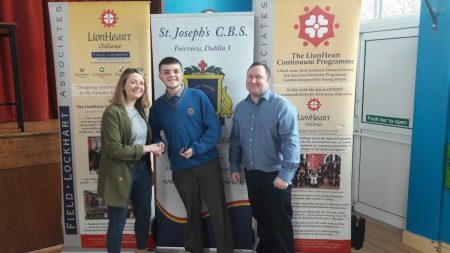 For the students, taking part in CuchulainnHeart was an enlightening, high energy experience. The challenge was centered around creating community action project ideas for our area. 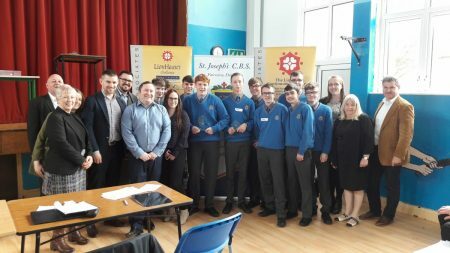 Teams worked tirelessly with the Cuchulainn Heart Team, business advisors at the top of their fields and were also judged by our team of expert business professionals. 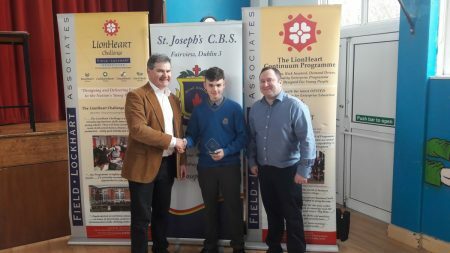 A huge thank you to the Ilac Centre for making this event possible and also a huge thanks to all of our judges: Richard Guiney (Chief Executive of Dublin Town), Lorcan O’Connor (Chairman of Dublin Town), Catherine O’Toole (regional marketing manager for Hammerson PLC) and to our head judge Billy Reid (General Manager of the Ilac Centre). Our overall champion team will now progress to the London finals in May. There, they will be competing against schools from England, Scotland and Wales! Watch this space!